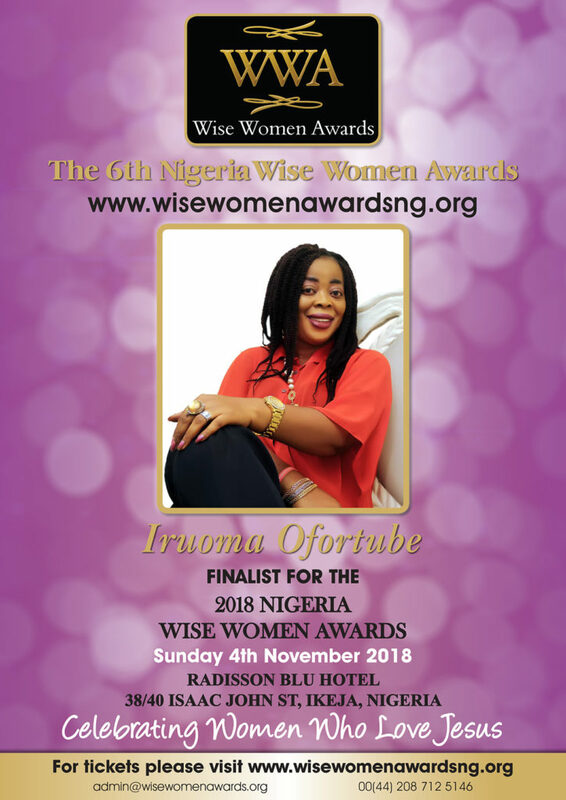 Iruoma Ofortube is an insurance expert by profession,a successful social entrepreuneur. She holds a bachelor’s degree in English from Nnamdi Azikiwe University, PGD/MSC in Public Administration from University of Calabar. She is currently a scholar at the Enterprise Developement Center,Pan Atlantic University on Social Sector management. She is also a Cherie Blair Foundation mentee. A humanitarian, health coach, preacher, public speaker and a counsellor. Iruoma is the director of Eunik international interiors, where she builds and empowers the youths and children on diverse skills in interior/exterior designing. She is the Founder/Executive Director of Thyroidism Awareness And Support Initiative(TASI). A pioneer organisation in Africa that is committed and dedicated to creating awareness of thyroid disease in Nigera and African region. As thyroid disease survivor,the inspiration to establish TASI was born out of the terrible experience she went through for five years battling hyperthyroidism and wandering in the wilderness of ignorance and extreme pain. Her passion grew even deeper given the fact that Thyroid disease is found to be more prevalent in women than men, consequently, affecting reproductive health, promotes stigma and increases maternal mortality. She transformed her untoward experience into a mission to educate, support and empower others struggling with thyroid disease and other health conditions. She is a force to reckon with on thyroid advocacy in Nigeria and Sub Saharan Africa with an avid ambition to the realisation of the United Nations Sustainable Developement goals. (SDGs). As a passionate Thyroid Patients advocateadvocate, she has attended and as well spoken in many conferences, town hall meetings,Health Summits and Seminars advocating for more effective patient- centered healthcare and policy push on healthcare delivery for better thyroid disease awareness and treatment support which lacks significant attention by various tiers of government. Her passion to alleviate the pains, fear and sufferrings of thyroid patients, has driven her into a more indepth research on thyroid disease and other related diseases. In three years Iruoma has metamorphosed from pain to a pool of hope,not only to thyroid patients but people with divers health challenges,through her enlightenment/awareness programs, support groups, advocacy, social media articles. Her Awareness/Advocacy are featured programs in several Television and Radio programs. Her unique style of disseminating information with her educative articles ,through divers mediums on thyroid awareness touched many lives. In three years, more than hundred thyroid patients have benefitted in her advocacy and awareness programs through fund raising for treatment and FREE SURGERIES. Her passion and impact on prevention and eradication of Thyroid disease has earned her the name ‘The Thyroid Queen’ by her fans. Her passionate work and the aggregation of her impact has earned her organisation a prestigous position as the first Thyroid Organisation in Africa to be approved as a member of THYROID FEDERATION INTERNATIONAL CANADA. A global umbrella body that guides and regulates the activities of thyroid organisations that work to improve the lives of thyroid patients. Iruoma believes and advocates that our health is our greatest asset, hence, everyone has right to good health. She loves reading, researching, traveling, counselling,mentoring, learning. She loves God, married to a pastor and blessed with 3 children.